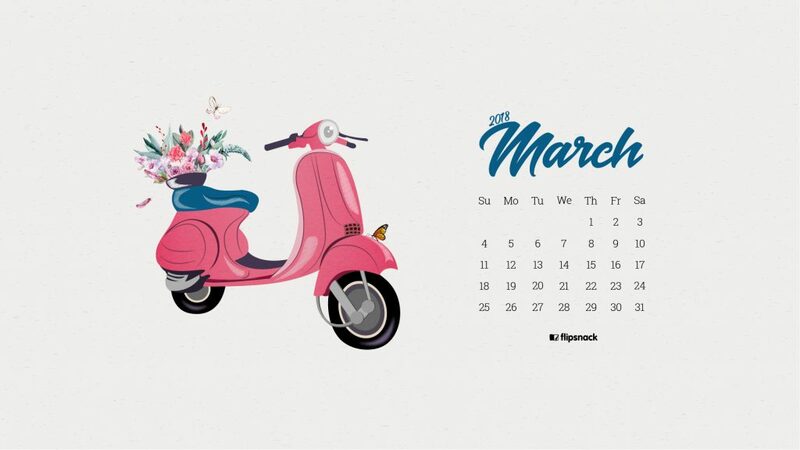 Check out our latest March 2019 wallpaper calendar! No matter how long the winter, spring is sure to follow. It’s almost March and spring is in the air as the earth slowly awakens. It’s the perfect time of year to get out of the house and enjoy the breeze and the sunshine. This also means that it’s time to get a new wallpaper calendar from us! 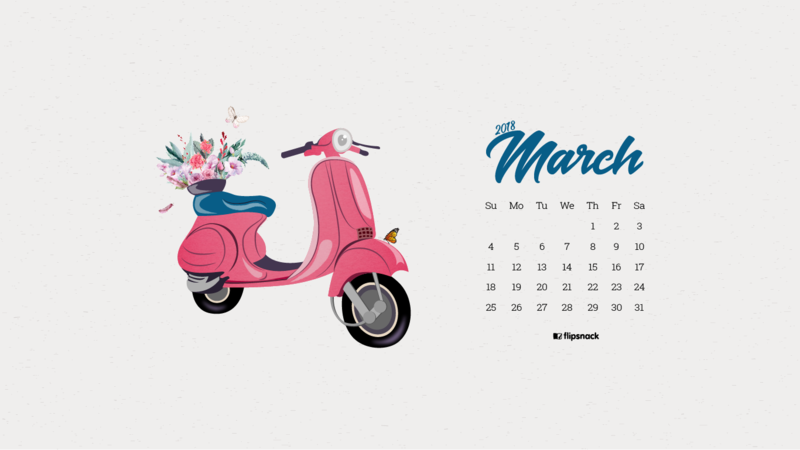 Just click the desired size to get a copy of the Flipsnack March 2018 wallpaper calendar. 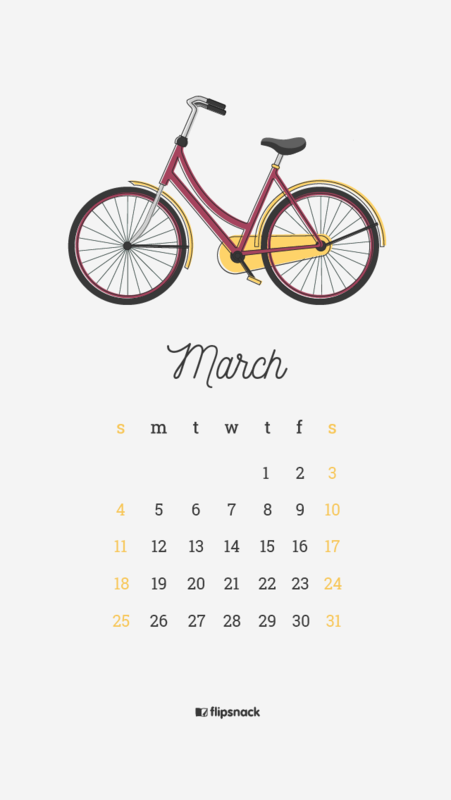 We designed two different calendars to fit all your devices. 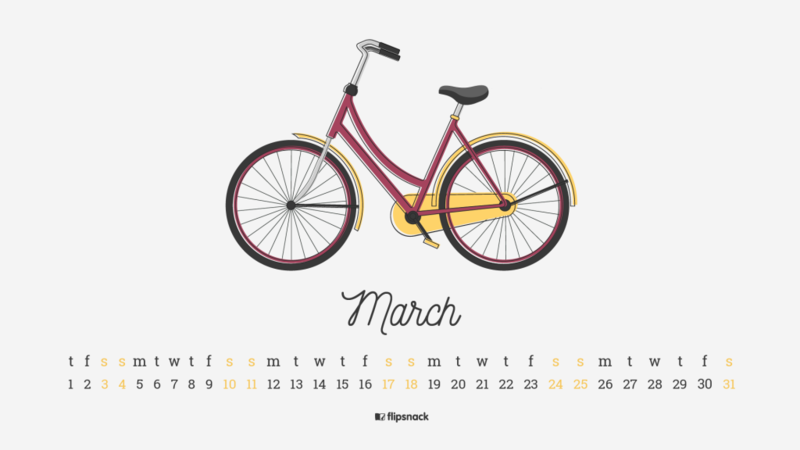 We used butterflies, flowers and bike rides as inspiration for our March wallpaper calendars that you can easily download and use as desktop background. The mobile version is for when you’re on the go, enjoying the warm days of March and the desktop versions are for when you’re using your computer. You can always get all of them and decide later which ones you’d like to feature on your screens. Both March wallpaper calendar designs are free to download, so get the one that you prefer. 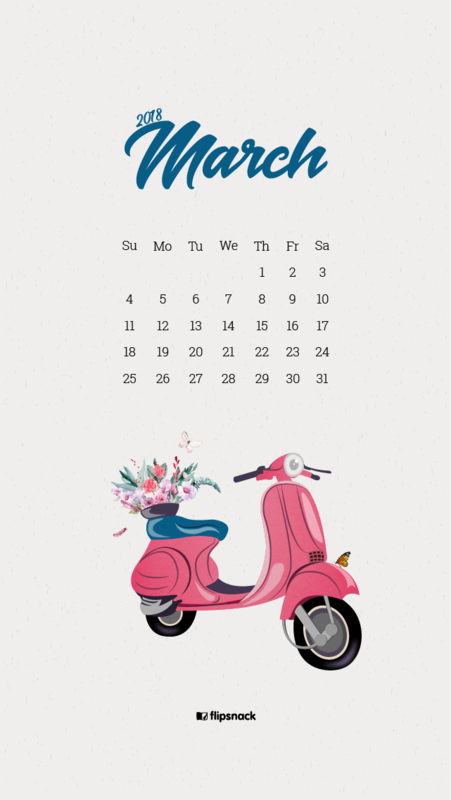 Last month we designed just one wallpaper calendar, and you requested that we publish at least two. You asked, we listened! So… this month you can choose between two wonderful designs. Let us know which one you prefer: the bicycle or the Vespa? We have a hard time choosing our favourite. What other designs would you like to feature next on your desktop wallpaper? Let us know in comments. 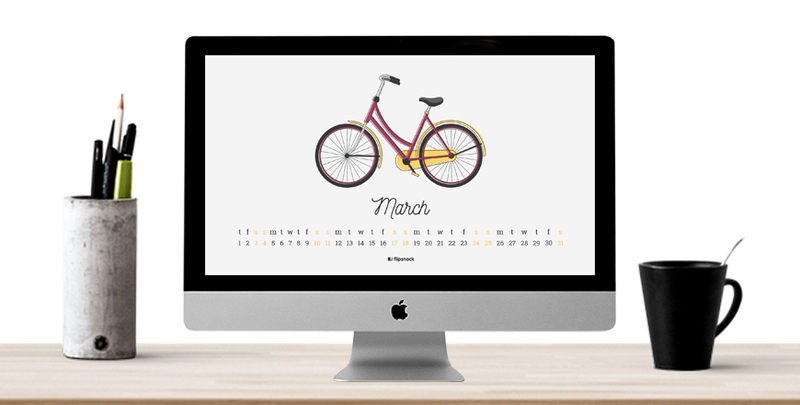 Each month we publish our calendar wallpapers in Freebies. Come back next month to see the new calendars and maybe you’ll find more freebies there that you like! See you soon! Thank you for your listening with two fantastic designs. I prefer Vespa, btw :). I wanted to suggest that you could possibly create a tennis or golf wallpaper for summer…even croquet would be fun! Thanks for shring amazing wallpapers . Sorry Tarun, we only release one calendar wallpaper/ month. We didn’t design all of them in advance. 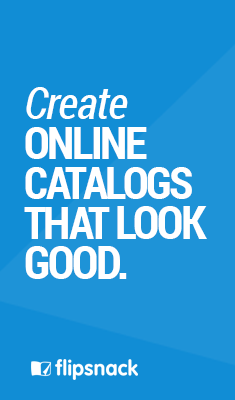 We usually publish them on our blog a few days before the beginning of a new month. I LOVE both wallpapers! I decided the one with the bicycle because I think is very creative the way the numbers are displayed (as a single line). I don’t know why but it helps me — I have dyscalculia. Keep up the good work and thank you! Thank you for your very nice comment, Catarina!